- Protects You from Scratches as well The application is simple. Just fill each nail cap 1/3 full with the adhesive provided & slide it over the nail. It's that easy! Each application lasts approximately 4-6 weeks until your dog naturally sheds their nail. The nail caps are extremely safe and non-toxic. Even if your dog swallows one, no harm will come. The nail cap will safely pass through the digestive system. 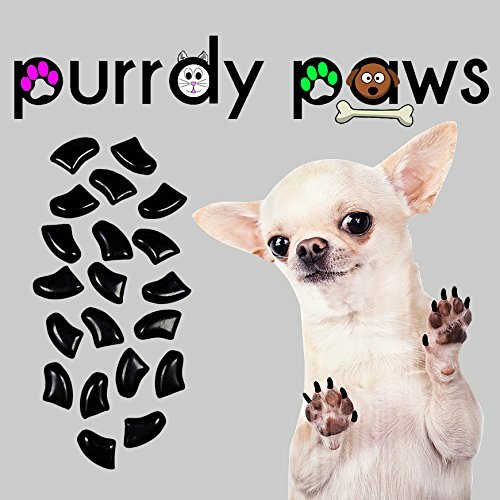 If you have any questions about this product by Purrdy Paws, contact us by completing and submitting the form below. If you are looking for a specif part number, please include it with your message.